Mos Maiorum’s Ferenc Hörcher recently interviewed British philosopher Roger Scruton in Bercel, Hungary at the Common Sense Society’s 2012 Summer Leadership Academy. Mr. Scruton shares his thoughts about European intellectual elites, Hungarian national identity and sovereignty, and why young people are still interested in ideas. Ferenc Hörcher: Professor Scruton, let us first talk about the recent political events in Hungary and Europe. I don’t know how well you are acquainted with the Hungarian situation, but you might have heard the news that an IMF delegation recently came to Hungary to prepare talks about some sort of an agreement and financial support for the Hungarian budget. Do you regard it as a danger for a government’s financial policy and sovereignty to take this sort of help, or can there be situations when it is useful? Roger Scruton: Well, all help of this kind diminishes sovereignty. Because you become answerable to the international body about the use of your own budget. We have seen proof of this in the case of Greece. Greece has essentially lost economic sovereignty and it will not be able to regain it except if it withdraws from the Eurozone now. In the Hungarian case, too, it is undeniably true that there will be some loss of sovereignty in that the government and future governments will have to comply with the conditions of the loan, which may involve making decisions about taxes and about the disposition of economic growth and so on. This same phenomenon we can confront in our own lives as well: if one accepts a mortgage, a loan from a bank to buy a house, the structure of one’s whole life will be changed. But we accept it because we assume that nevertheless the change is for the better. Let us say the good consequences outweigh the bad. FH: Will the good outweigh the bad in the Hungarian case? RS: I think that he Hungarian government hopes for the same positive balance from an agreement with the IMF. Although I have to say I never understood how this institution works, and I don’t think the people who run the IMF understand how it works particularly, because none of them seem to be trained in anything except politics. FH: What do you think of Mr. Orbán’s international manoeuvring in general? He has many adversaries and opponents in Europe, including in the European Parliament and in the media. Do you not think that to take an independent national stance is too risky in a situation like ours? Or do you agree with those who consider him an example for other countries looking to put their own national interest first? RS: I would say that Mr. Orbán’s approach to the IMF is probably the right one. Hungary is in a difficult situation economically like all the countries in this region, and it needs short term help in order to achieve long term stability. Here is some short term help offered by the wrong kind of institution. But I think, Mr. Orbán’s approach is, as you say, to put the national interest first, and make sure as far as he can that the terms of the loan are such that the country will be able to pay it back by the time required. FH: This achievement presupposes a rather delicate, nuanced way of negotiating. RS: It is hard to know how far this is possible at all! One of the key questions is whether it will end up as a semi-permanent debt or a temporary one. Most people say that permanent debts in the end are in fact gifts, because effectively you are not paying it back. It is simply there in the background of all your dealings, and the person who gave the gift turns out to be the stupid one because he has lost the money. There is plenty of evidence that the IMF will in the long run function in that way. It will just be one way of transferring capital assets from one part of the global economy to another. FH: Do you think that political prices will have to be paid for that? RS: I am sure that is true. But that is where you have to be a clever politician to try and get the reward without paying too high a price for it. FH: Because of Mr. Orbán’s manoeuvering there have been many anti-Hungarian reactions in Europe and elsewhere in the whole Western world. On the other hand, in certain countries, such as in Poland, Orbán is taken for a kind of hero. What sort of positive role might Orbán play in the present situation of the European and global crisis? RS: I think that is a more interesting political question, really. Because the question about the IMF is not really to do with Mr. Orbán’s politics. There are plenty of countries presently appealing to the IMF and Hungary just happens to be one of them. When it comes to the European Union there are interesting issues which are peculiarly Hungarian. The European Union, as you know, is centred upon the alliance of France and Germany, and in particular on the German need to whitewash its past, to persuade the world that Germany is a civilised nation which has nothing to do with that Nazi episode. FH: Does it not overplay this role? RS: It does. Because the German political class is constantly looking for some right wing extremist governments to contrast itself with. And Hungary is a wonderful example, because first of all Germans imposed fascism on Hungary, and forced Hungary in a position which many people today feel ashamed of. Conservatism in Hungary, by András Lánczi. In understanding the case for conservatism in post-communist Hungary, an important thing to keep in mind is that political philosophy as such has never existed in Hungary. This is partly because of the rejection of philosophy as being alien to the “Hungarian spirit” and partly because of totalitarian ideology, especially under communism. Thus, there has been no conservatism as a philosophically-underpinned intellectual trend until the first half of the 19th century. Even then, it only appeared as a marginal political movement that started with a short lived and partly English-oriented Conservative Party (1846), which was renewed in 1875 with the support of a moderate press. It is telling that only one author is worth mentioning by name, János Asbóth. He was a writer and essayist who contrasted his ideas principally against contemporaneous liberalism. Regarding Hungary’s status within the Habsburg Empire and dominant German economic, political, and intellectual influence, it was nineteenth century liberalism that held sway over Hungarian intellectual life until World War I. Since Hungary’s primary concern was her limited sovereignty, renewed attempts have been made to liberate Hungary from under alien influence. 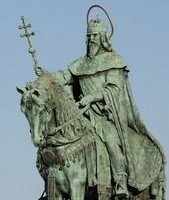 Conservatism, however, was associated with the maintenance first of the Habsburg rule and then Hungarian cultural superiority over neighboring nations. The latter was tied to Hungarian traditionalism, backed by a strong public spirit. Alas, it was no wonder that after WWI—when a humiliated country regained its independence—the new political discourse wanted to regain national identity mainly by voicing Hungary’s long history in Europe and her Christian origins. The most promising young philosopher, Aurél Kolnai, who later became an eminent political philosopher abroad, left Hungary in 1920, as did Károly Mannheim (Karl Mannheim) and Mihály Polányi (Michael Polanyi). All three thinkers left Hungary in the politically hectic period of 1919-1920 because they refused both the short lived communist takeover in 1919, but also the unfolding right-wing regime afterwards. The communists, after taking over in 1948, managed to indoctrinate people against the previous regime by calling it fascist, antisocial, nationalist, and clerical. The word “conservative” simply disappeared from the vocabulary of public discourse. The concept reemerged in the late 1980s, just before the demise of communism in a most ironic way. Hardliner communists were called conservatives compared to “reform communists”. Thus the former understanding of the words “conservative” and “conservatism” could not be used in the early 1990s. Moreover, because of the negative connotation of the concept, no political party or movement dared to use it as a symbol of its political doctrine. This all changed, however, after 2002 when post-communists together with their liberal political partners returned to power again. Conservatism as a philosophy in today’s Hungary can only appear on the periphery of the intellectual forums; it has never been able to enter any curriculum or into a more significant intellectual arena. Conservative political though appears scattered mainly in the departments of political science and various social sciences, as well as newly established think tanks, periodicals, and in more and more blogs. As a result, “conservatism” has developed a variety of non-philosophical representations in Hungarian public life which range from pure traditionalism to sheer right wing radicalism. These are political movements or simply journalists with moderately intellectual backgrounds. Another phenomenon of Hungarian conservatism as a philosophy is that it is often subservient to Christian theology. Again following the German pattern, Christian Democracy has become the mainstream bearer of conservative ideas in public discourse; thus, the Jewish element is more often than not excluded from among the traditions of European conservative ideas. So conservatism as a set of ideas and political movement is cut off from its philosophical roots: it is either based on Christian theology or on an instinctive or casual worldview which lacks any coherence. No wonder post-communists have managed not only to survive but also to take the lead in intellectual debates. This is in large part also owing to their commitment to philosophical argumentation. It is also important to understand that even though conservatism “seeks to maintain and enrich societies characterized by respect for inherited institutions, beliefs and practices” (Bruce Frohnen, et al., American Conservatism), in a post-communist society we have institutions, beliefs, and practices that were inherited from communism. Since the values of conservatism were not present to begin with, conservatism is hard to explain to the people, in the classical sense. This leads us to the issue of religion in a post-communist state. Religion suffered an almost fatal blow under communism. Poland is said to be an exception, but all the other post-communist countries came face to face with the devastating ideological rule of communists. This includes Hungary. Partly because churches were corrupted by the pervasive communist rule, conservatism that places great emphasis on religion or even the common good pleasing to God is doomed for the moment. Latent nihilism is the most suitable term I can apply for the present intellectual state of the Hungarian people. —András Lánczi is Director of the Institute of Political Science and Philosophy at the Corvinus University of Budapest. 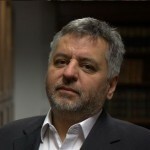 He has authored numerous books on political philosophy and is the Hungarian editor of the Encyclopedia of Political Thought, Encyclopedia of Political Science, and The New Handbook of Political Science. 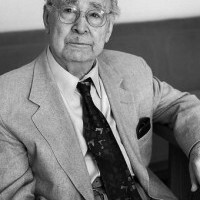 He has also translated several books into Hungarian, including Leo Strauss’s Natural Right and History and Persecution and the Art of Writing. *A version of this article appeared in The European Conservative (March 2009), published by the Centre for European Renewal in The Netherlands. Ungheria: orgoglio e identità, by Andrea Camaiora. «C’è qualcuno che avrebbe preferito che non avessimo menzionato re Santo Stefano nel preambolo alla nostra nuova Costituzione. Ebbene, se non lo avessimo fatto avremmo negato le nostre radici, la nostra storia, in una parola la verità». È apparso convincente, determinato, carismatico il parlamentare europeo PPE József Szájer, in visita a Roma lunedì per un incontro con la stampa, al mattino presso la sede dell’ambasciata ungherese, e in serata con gli studenti della prestigigiosa John Cabot University. Szájer, praticamente sconosciuto in Italia, non è un politico qualunque nel suo Paese. Ha presieduto la Commissione per la Redazione della Legge Fondamentale Ungherese ed è a lui che si deve il celebre e contestato preambolo che recita: «Noi, appartenenti alla nazione ungherese, all’inizio del nuovo millennio, provando senso di responsabilità per ogni nostro connazionale, proclamiamo: Siamo orgogliosi che il nostro re Santo Stefano [nella foto] abbia costruito lo Stato ungherese su un terreno solido e abbia reso il nostro paese una parte dell’Europa cristiana mille anni fa. Siamo orgogliosi dei nostri antenati che hanno combattuto per la sopravvivenza, la libertà e l’indipendenza del nostro paese. Siamo orgogliosi delle eccezionali conquiste intellettuali del popolo ungherese. Siamo orgogliosi che il nostro popolo nel corso dei secoli abbia difeso l’Europa in una serie di lotte e arricchito i valori europei comuni con il suo talento e diligenza. Riconosciamo il ruolo del cristianesimo nel preservare la nazione. Apprezziamo le varie tradizioni religiose del nostro paese. Ci impegniamo per preservare l’unità intellettuale e spirituale della nostra nazione lacerata nelle tempeste del secolo scorso. Le nazionalità che vivono con noi fanno parte della comunità ungherese politica e sono parti costitutive dello Stato». L’europarlamentare di Fidesz (il partito di Viktor Orban) ha spiegato ai pochi giornalisti presenti in sala – tra i quali si notavano le clamorose assenze di la Repubblica, Corriere della Sera e Sky, testate tra le più ferocemente critiche nei confronti dell’attuale situazione politica ungherese – che gli ungheresi hanno assistito alle durissime critiche ricevute per la libera e sovrana scelta di dotarsi di una nuova Carta con una certa perplessità e ha spiegato il perché: nel 1222 re Andrea II d’Ungheria emanò la cosiddetta Bolla d’oro, ovvero un atto molto simile alla Magna Charta emanata in Inghilterra solo quattro anni prima, che impegnava il sovrano a rispettare certi limiti nella sua azione e che rappresenta pertanto la prima “Costituzione” dell’Europa continentale. József Szájer ha avuto modo di ribadire che la scelta di dotarsi di una nuova Costituzione era molto sentita dagli ungheresi anche perché le istituzioni democratiche sviluppatesi man mano dal 1990 in poi, poggiavano sempre e comunque sull’ormai datato e discusso testo della Costituzione sovietica del 1949 «copiata sic et simpliciter dalla costituzione sovietica del 1936». Szájer ha pure risposto alla giornalista di Radio Radicale Ada Pagliarulo che chiedeva le motivazioni che avevano portato a non iscrivere il rifiuto della pena di morte nella Carta del 2011 che gli ungheresi da vent’anni hanno definitivamente abolito la pena di morte aderendo anche a trattati internazionali che ne impediscono nuovamente l’adozione: «la nostra Costituzione – ha però ricordato l’europarlamentare magiaro – sancisce l’inviolabilità della persona, il primato della vita e altri principi di grande importanza». Nel corso dell’incontro nella sede diplomatica magiara è emerso, sempre con riferimento alla tanto contestata nuova Carta, che la Commissione di Venezia del Consiglio d’Europa ha espressamente dichiarato di apprezzare «il fatto che questa nuova Costituzione stabilisce un ordine costituzionale basato sulla democrazia, lo stato di diritto e la protezione di diritti fondamentali quali principi basilari» (L’Opinione, 20 giugno 2011).